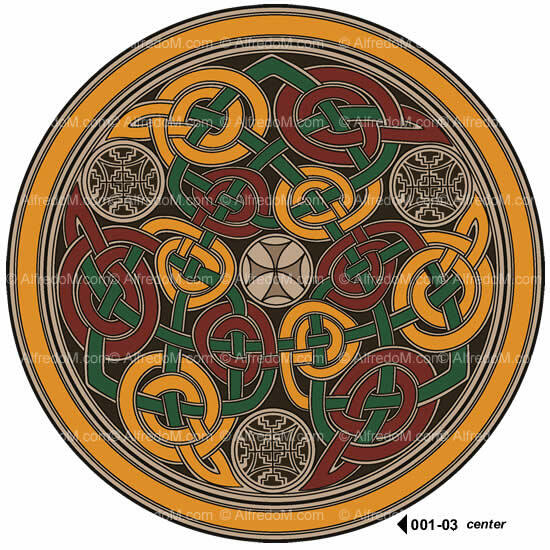 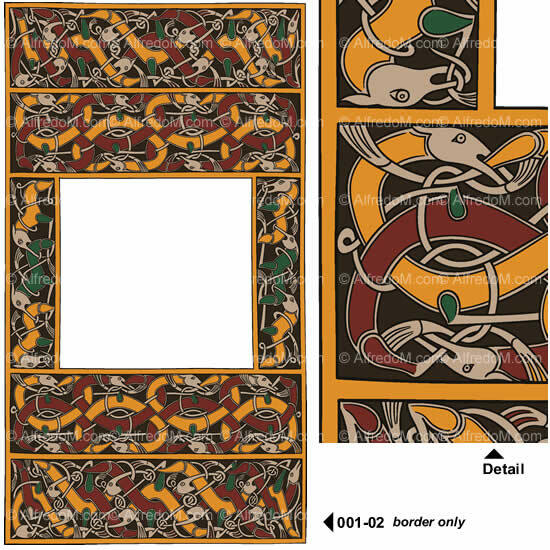 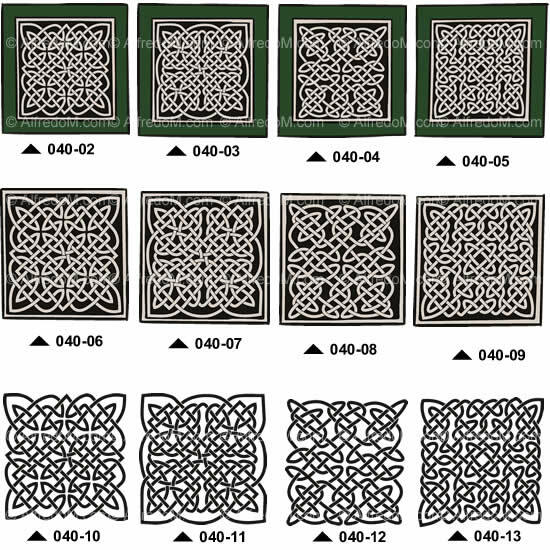 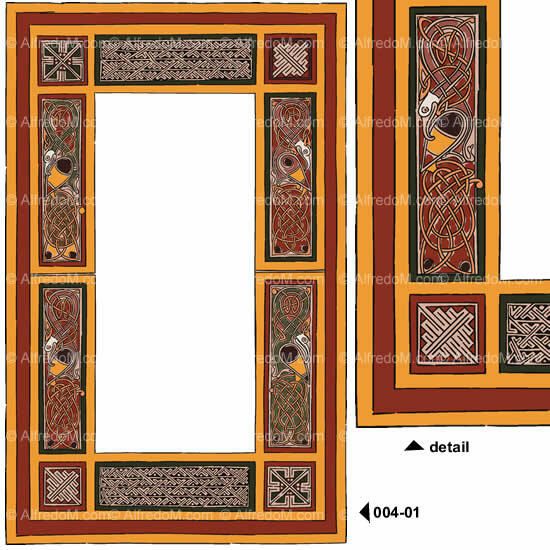 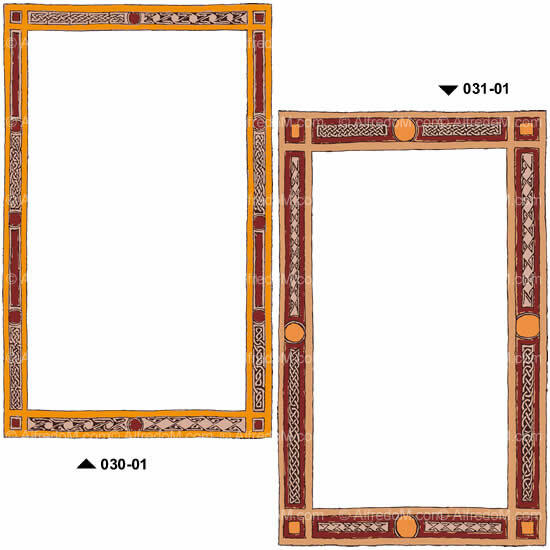 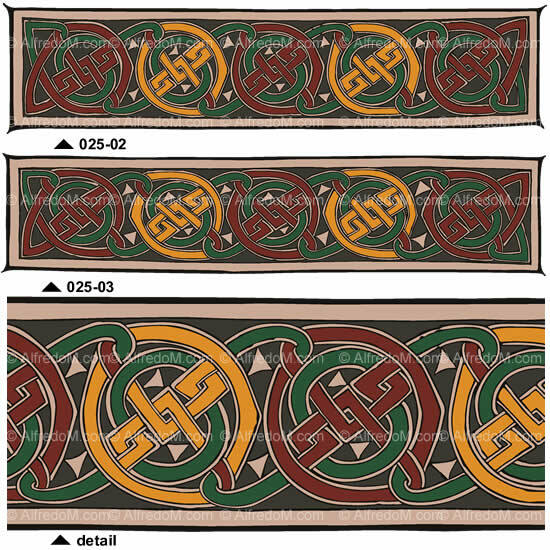 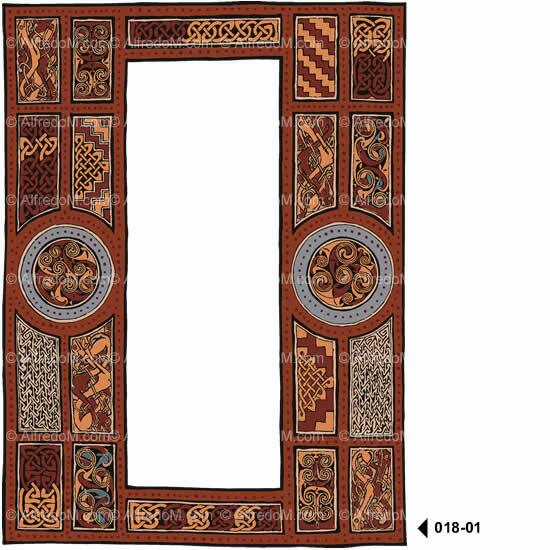 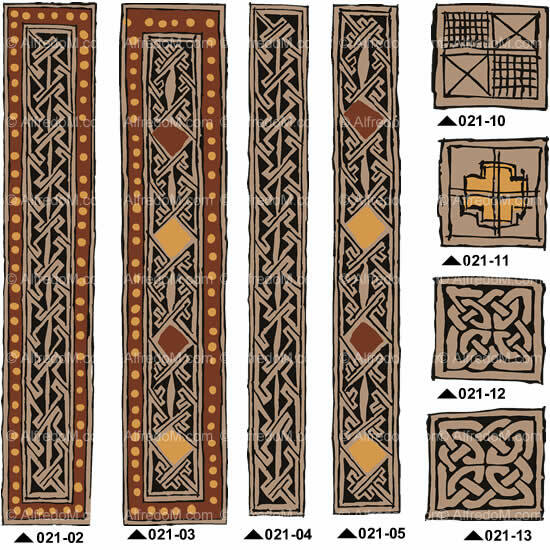 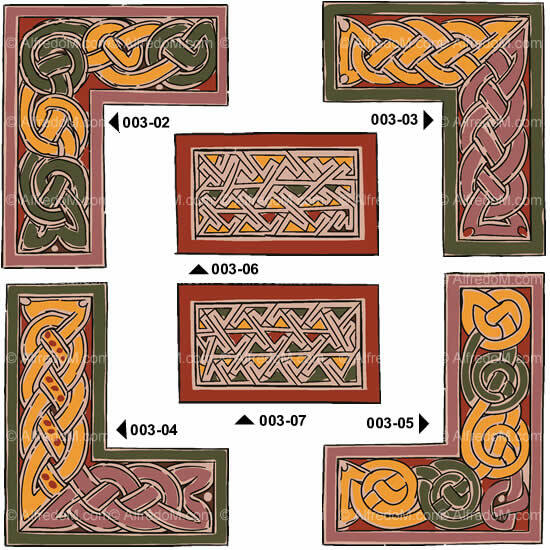 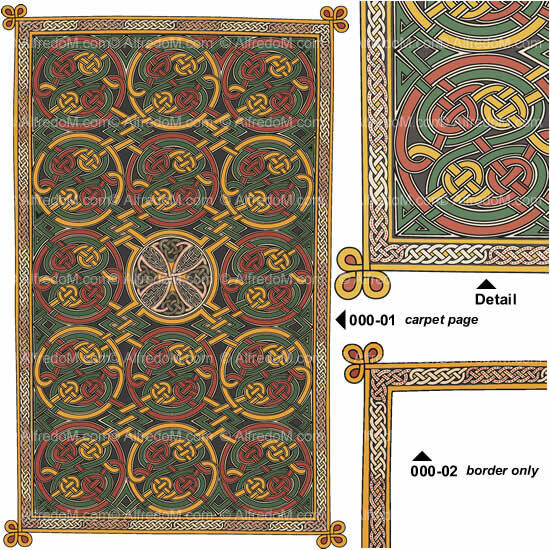 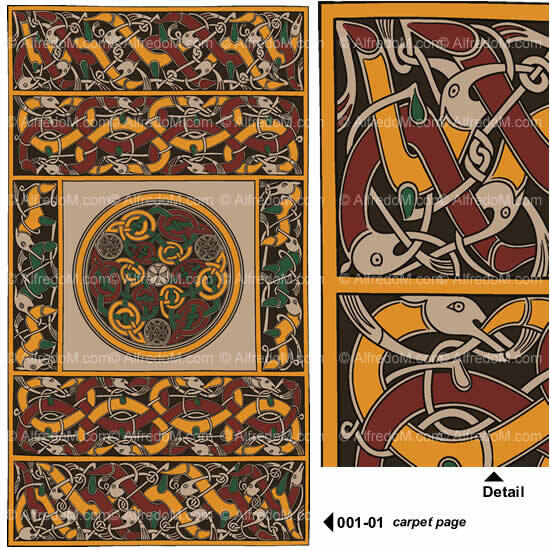 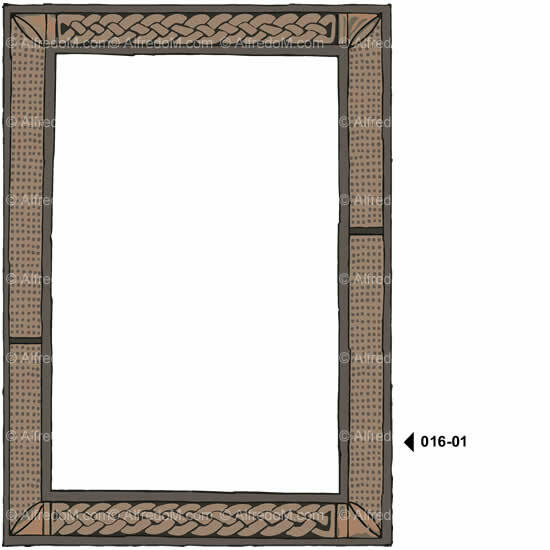 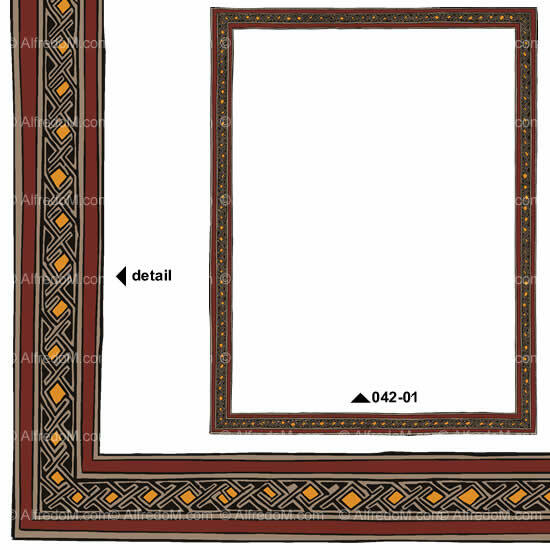 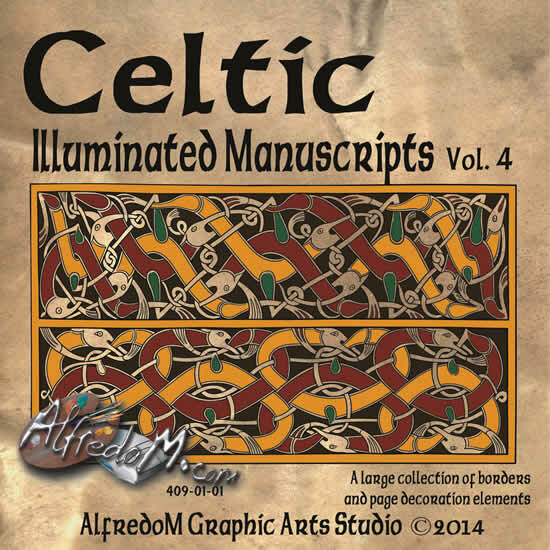 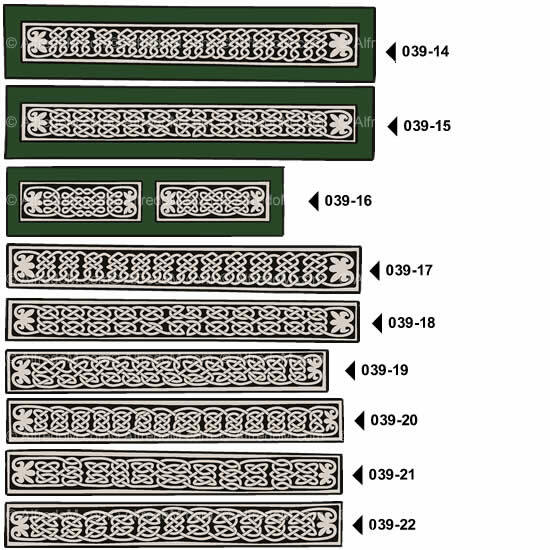 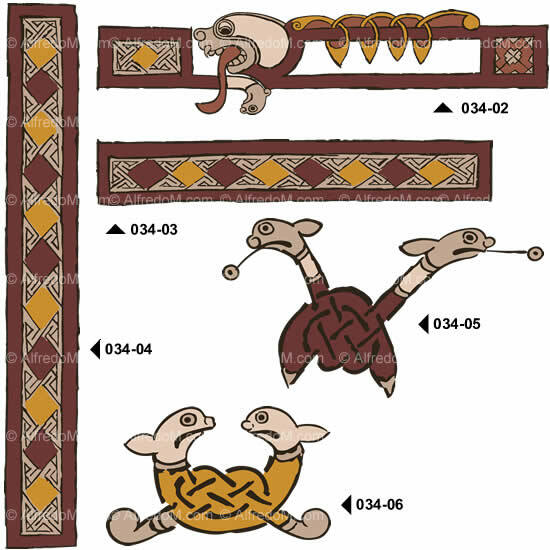 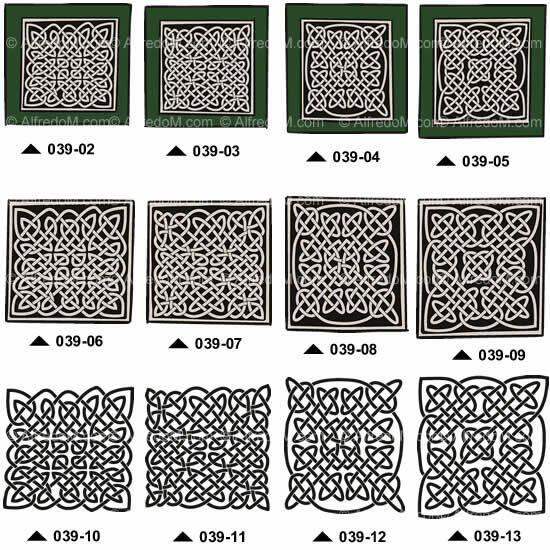 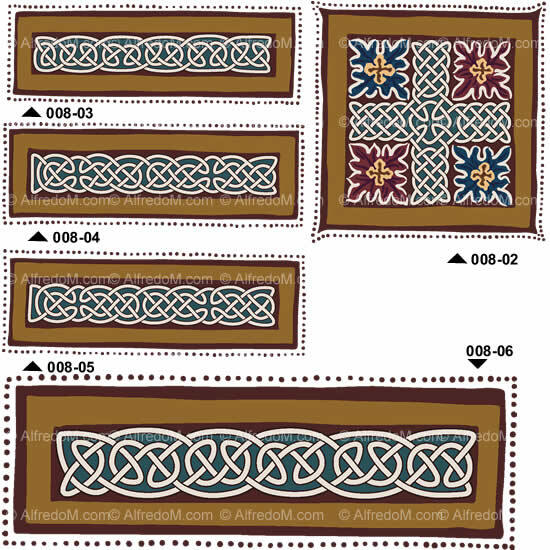 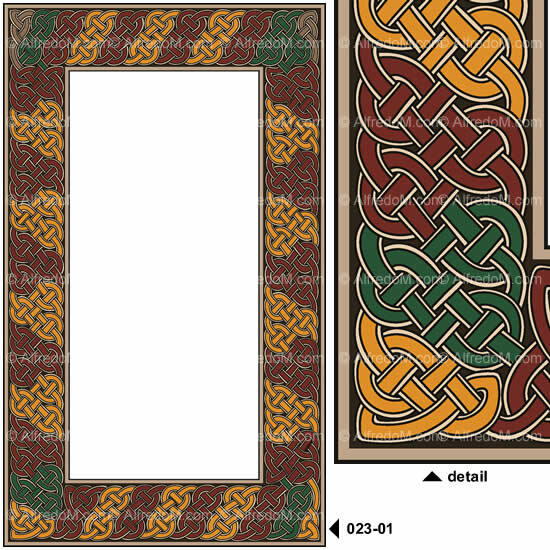 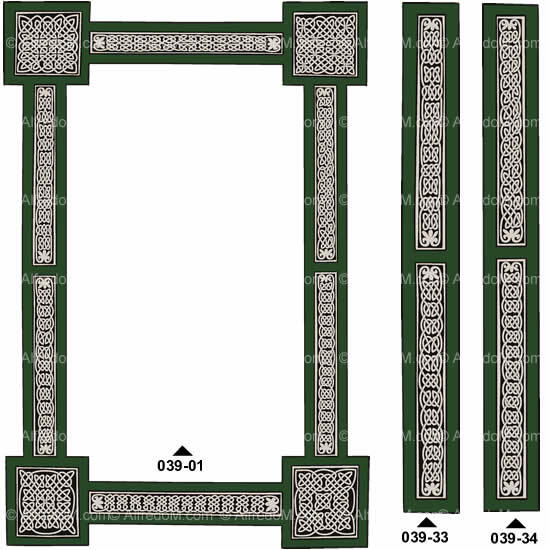 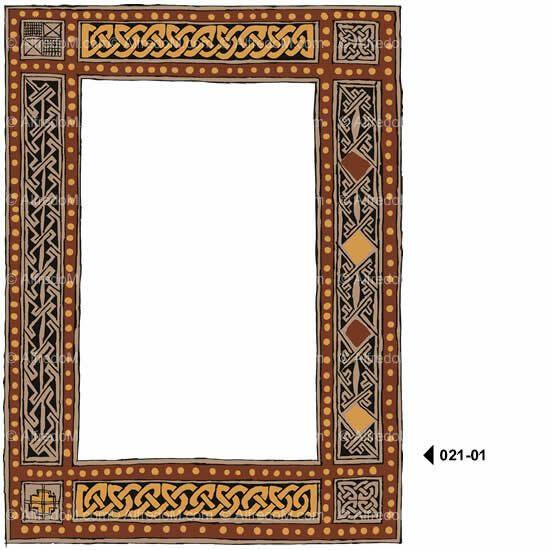 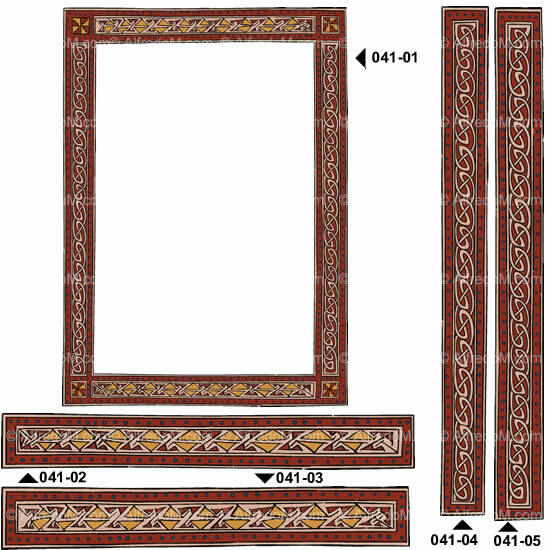 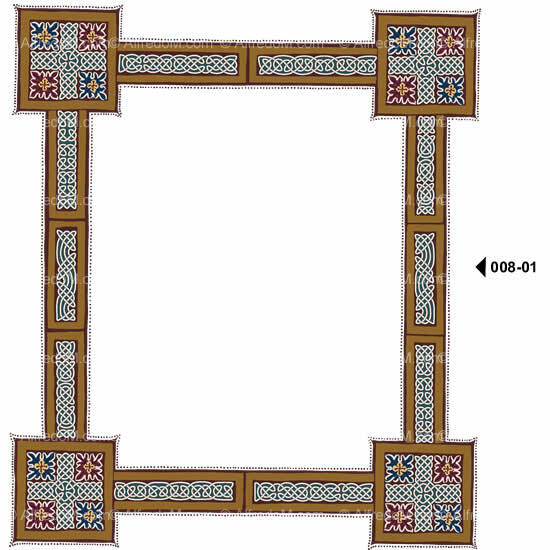 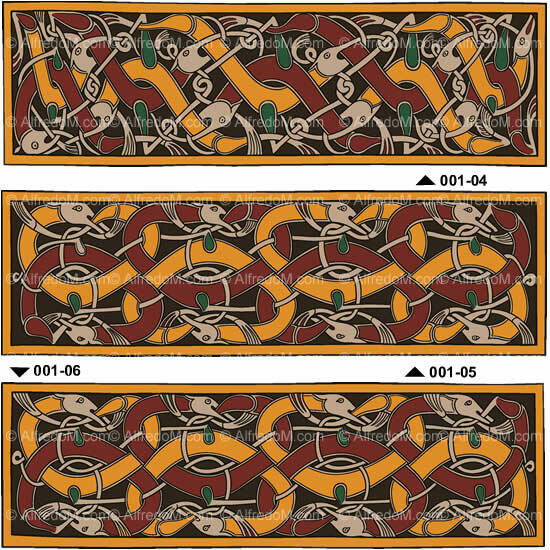 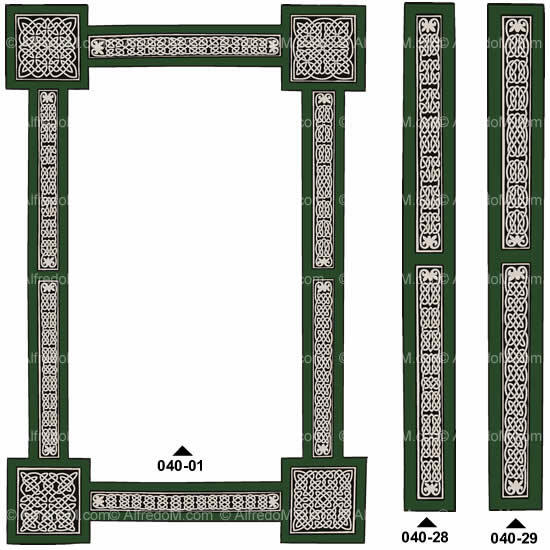 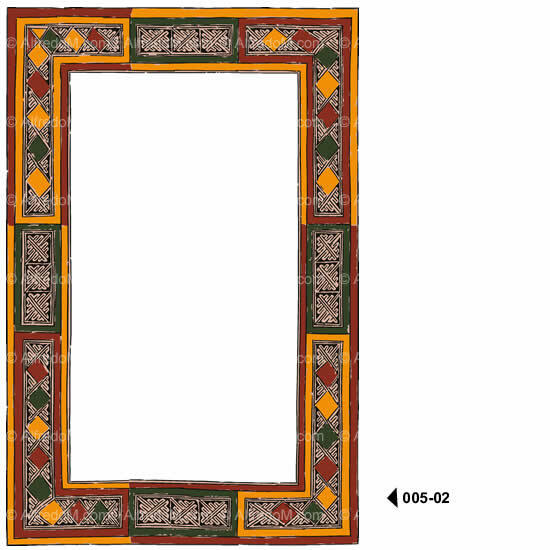 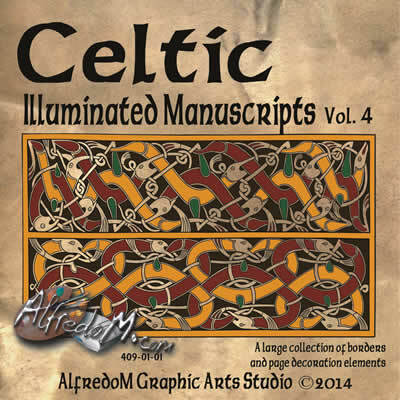 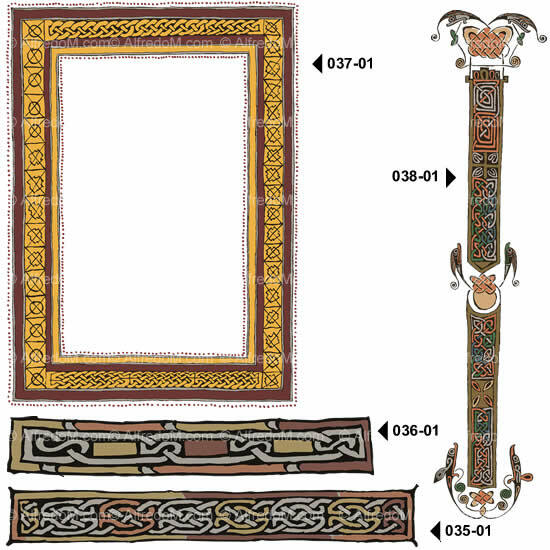 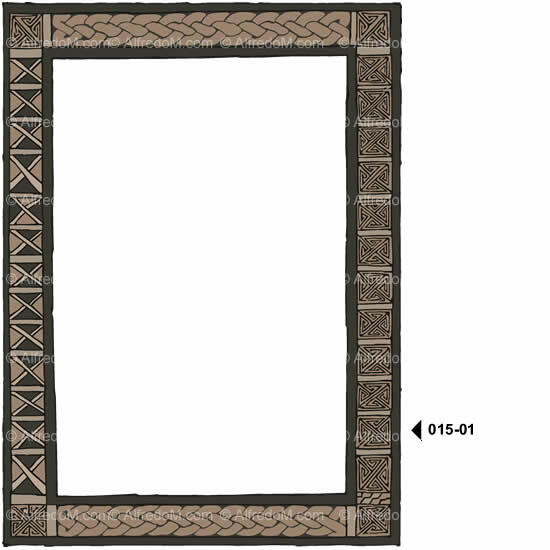 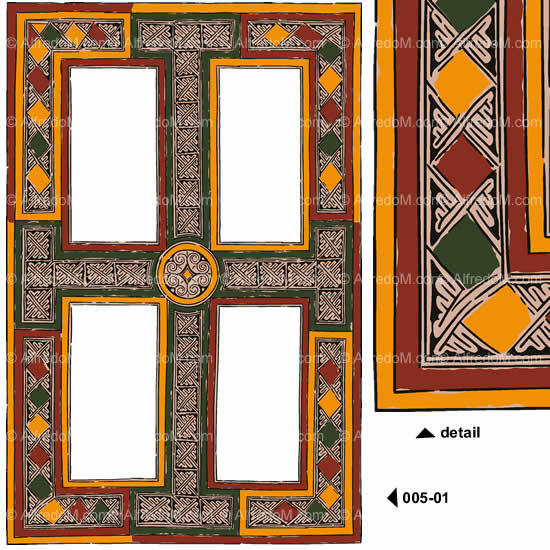 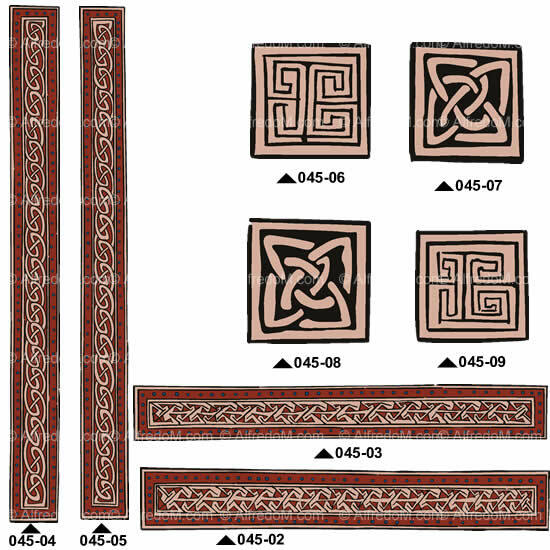 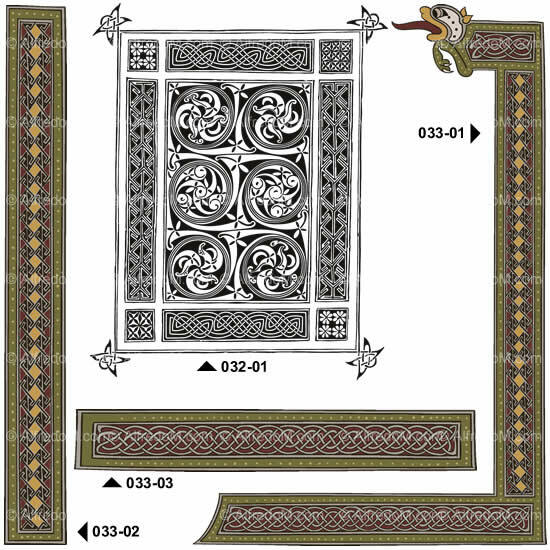 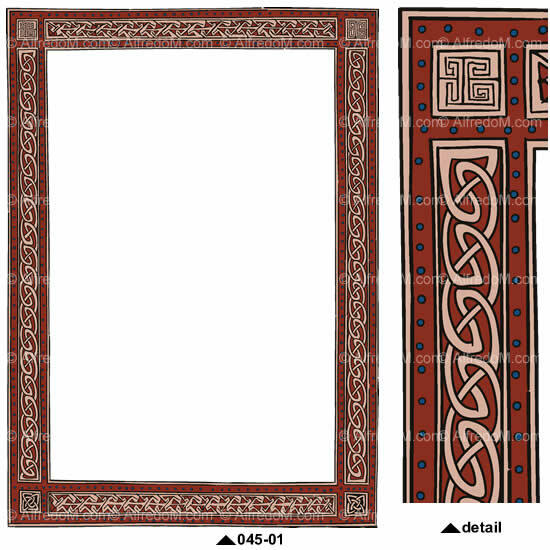 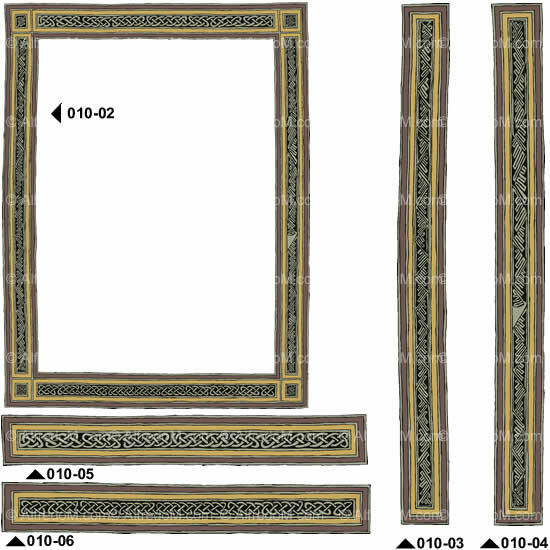 This fourth volume of Celtic Illuminated Manuscripts includes many geometric interlace borders, animals interlace borders, carpet pages, page decorative elements and Celtic knot inspired from many of the well known ancient Celtic manuscripts. 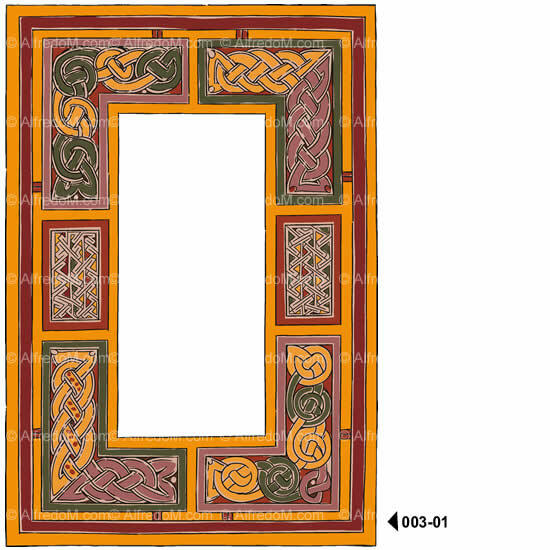 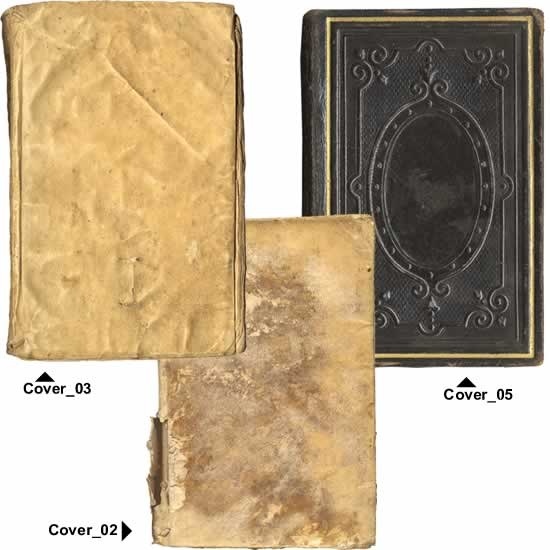 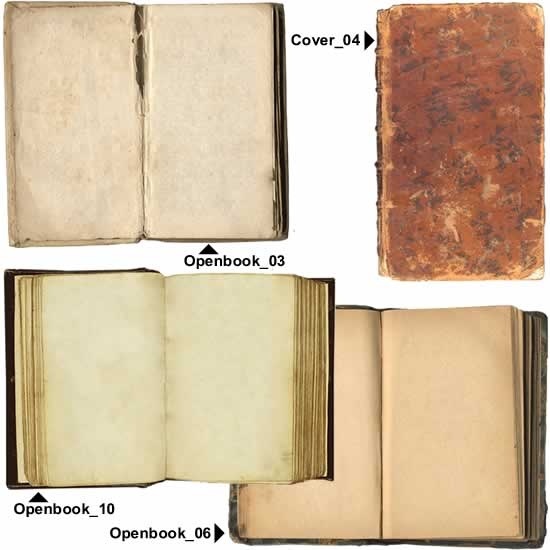 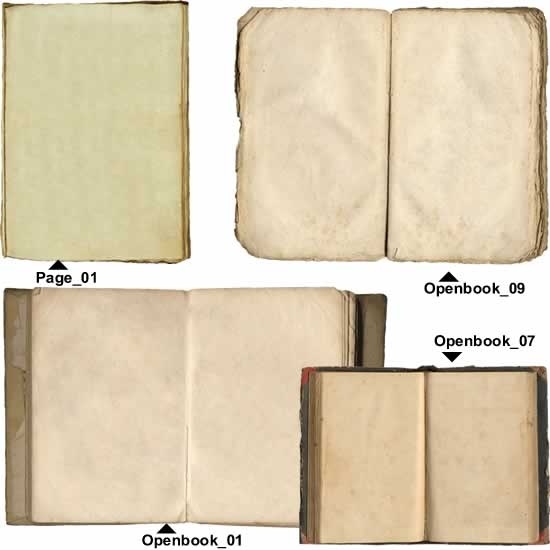 The collection includes borders and elements from the Book of Durrow, the Book of Mac Durnan, the St. Gallen Manuscript MS 1395, the Gospel Book MS 40618, the St. Gallen Cod. 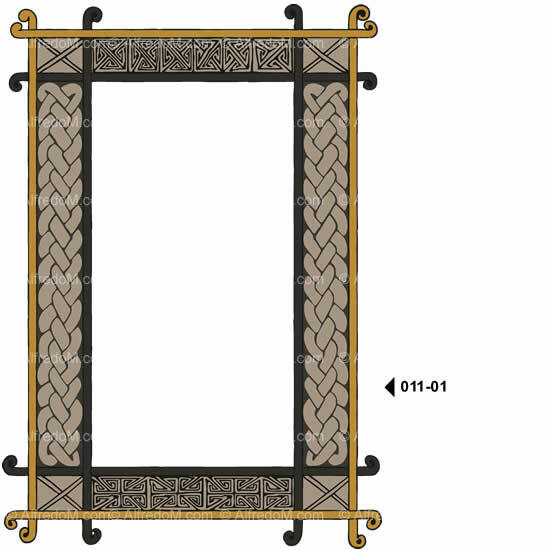 Sang. 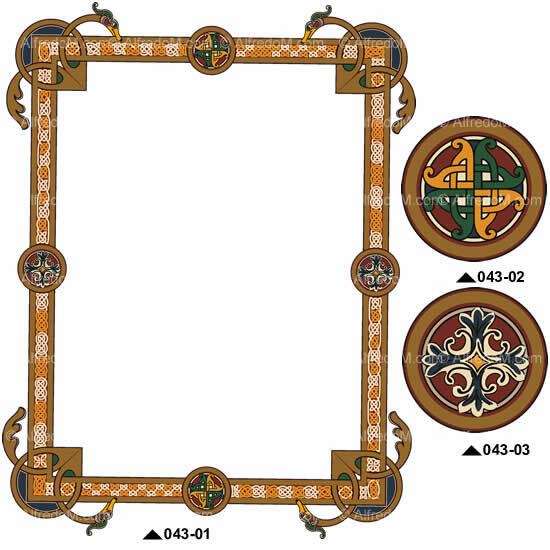 1395, the Book of Deer, the St. Gall Gospel, the Gospels of Mael Brigte' Armagh, the Book of Dimma, the Leofric Missal, the South Hampton Psalter, the Stowe Missal, the St. Gallen Cod. 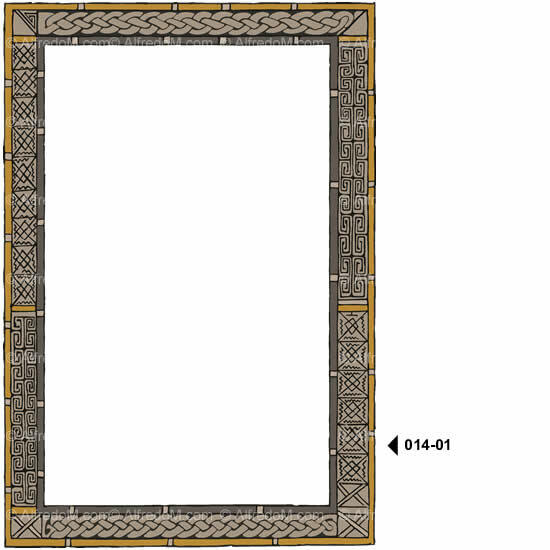 60, , the St. Gallen Cod. 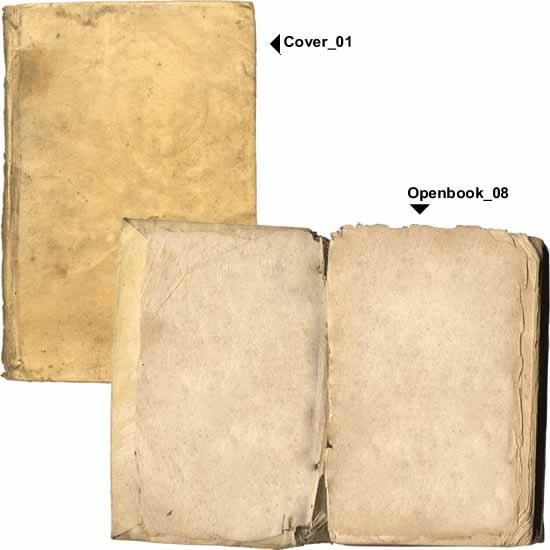 348, Gospel Book MS Egerton 768, St Gallen Cod. 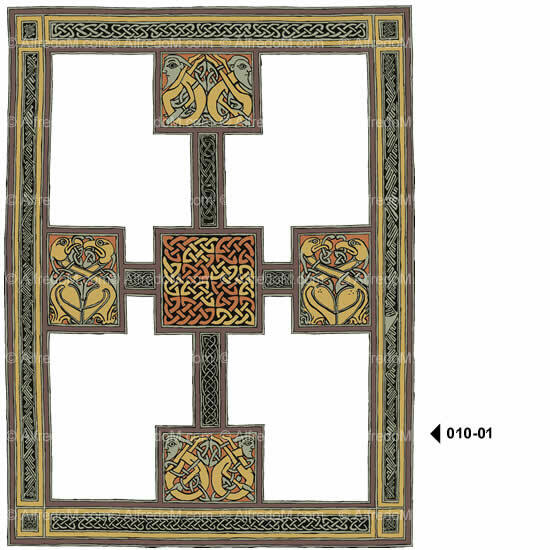 51, St Chad Gospel and others. 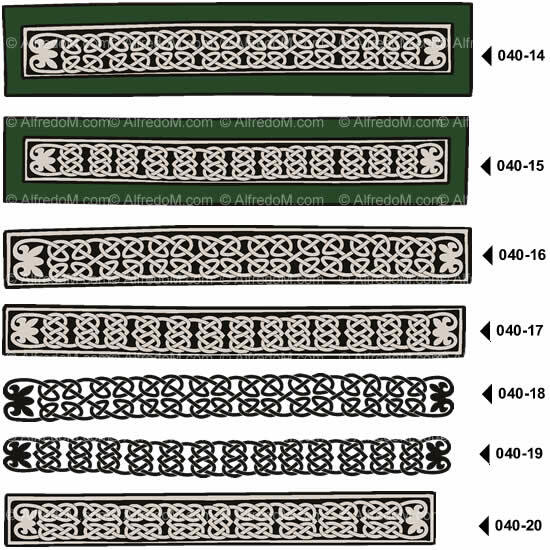 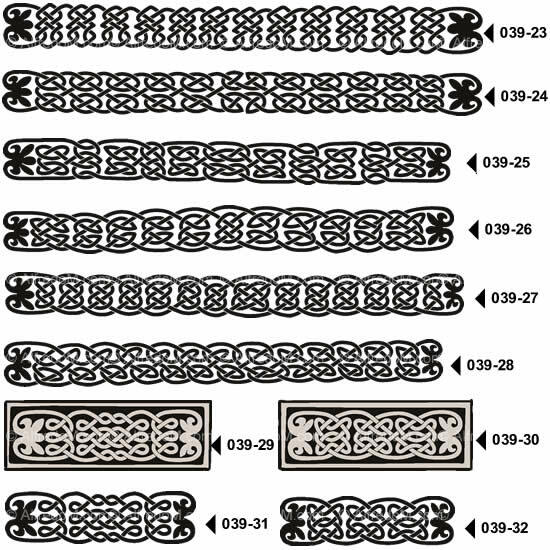 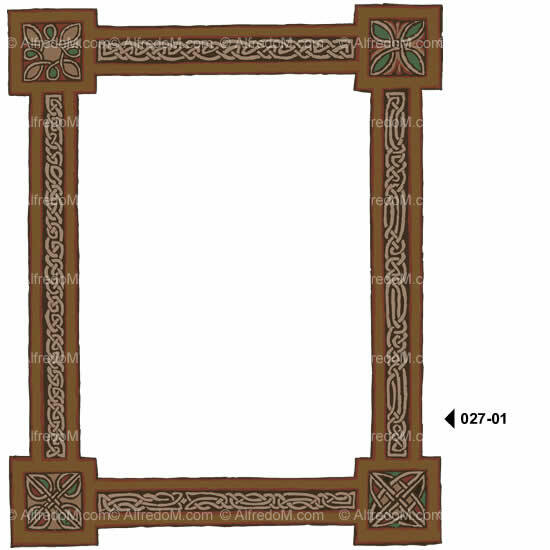 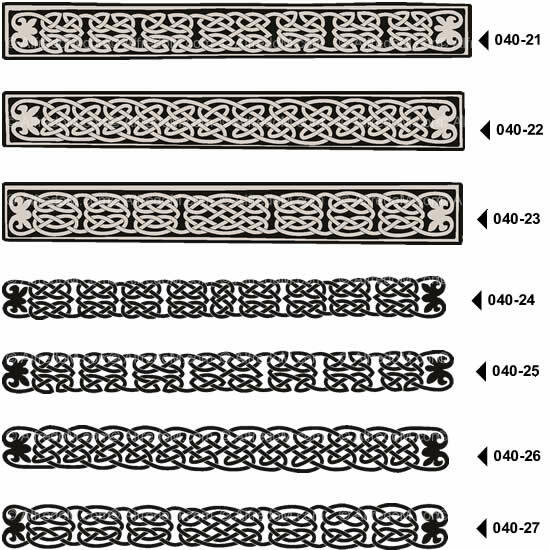 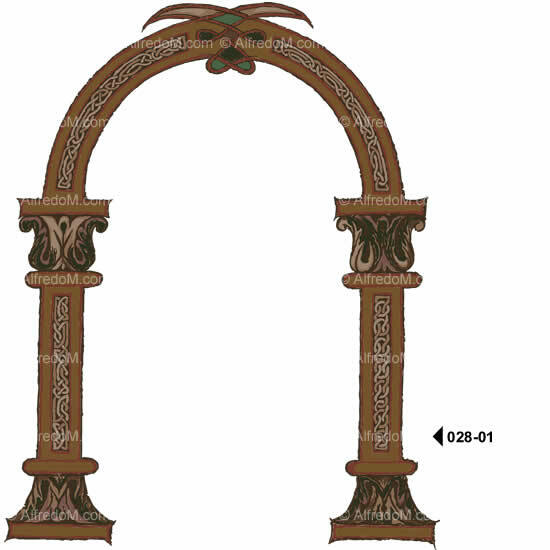 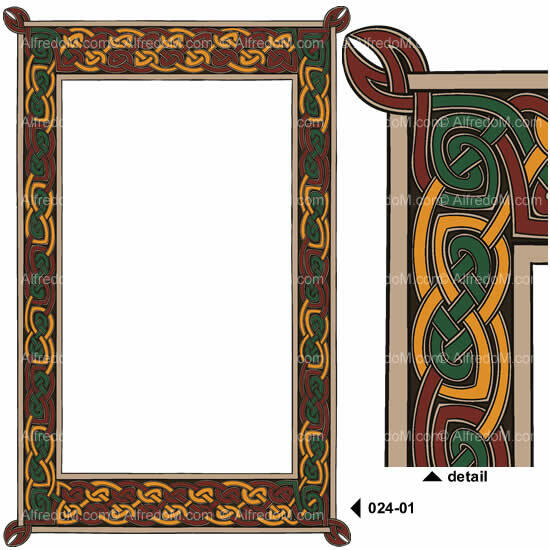 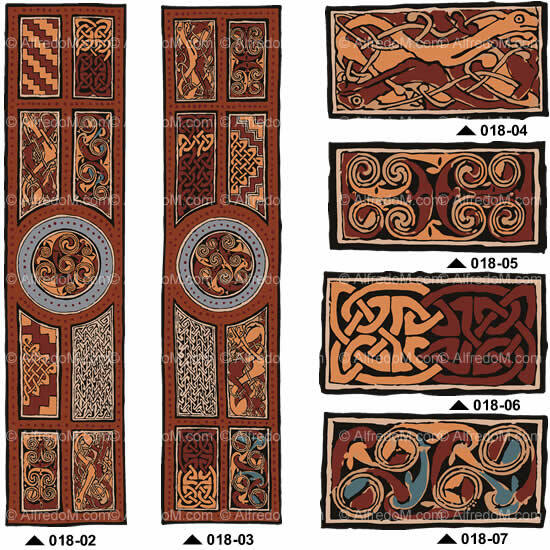 All the artwork in this collection of Irish clip art has been hand drawn in vector eps format. 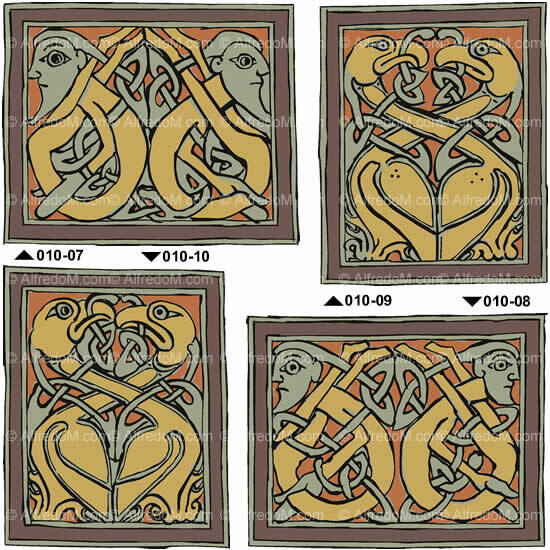 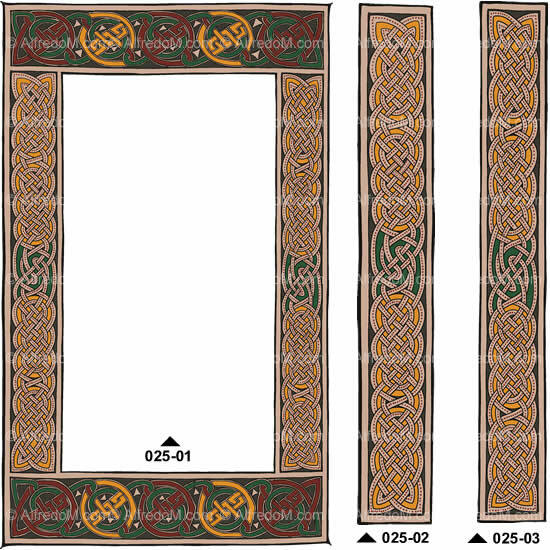 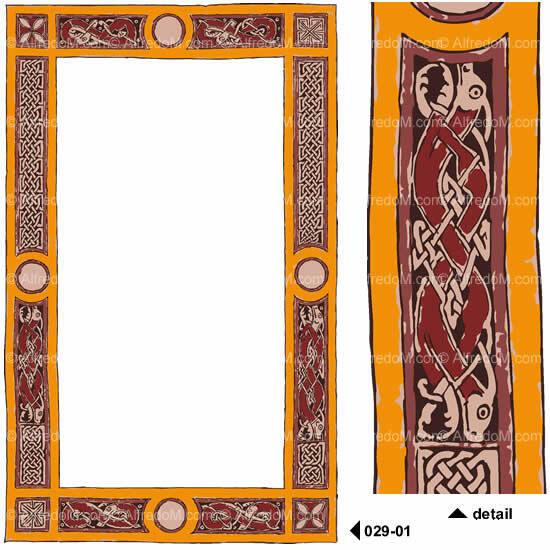 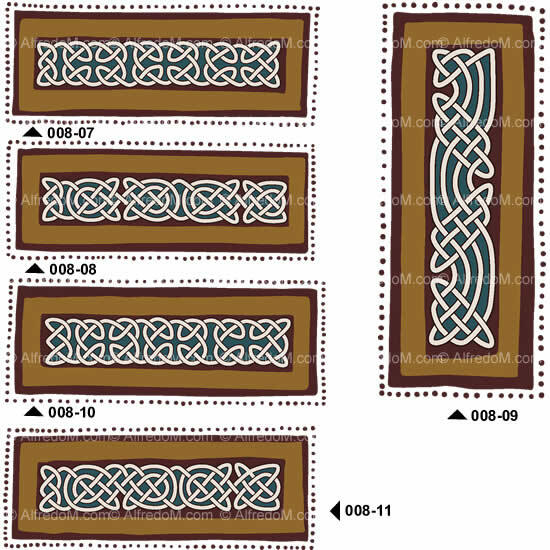 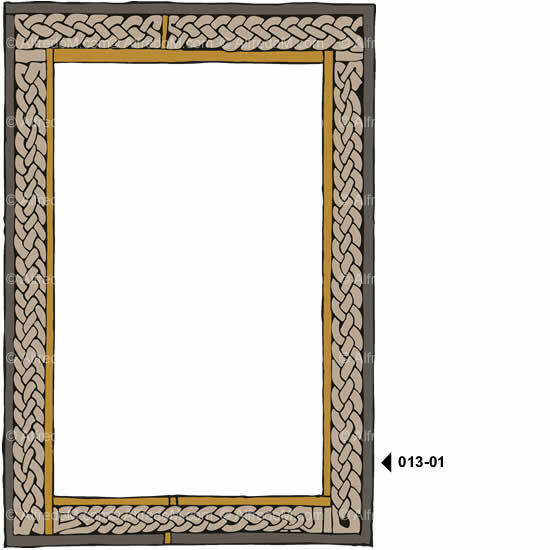 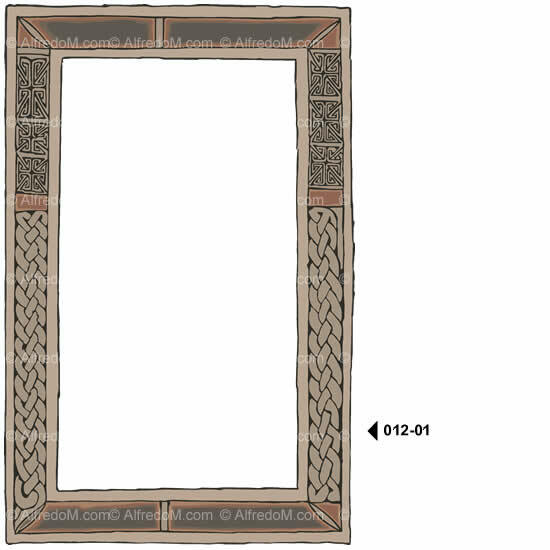 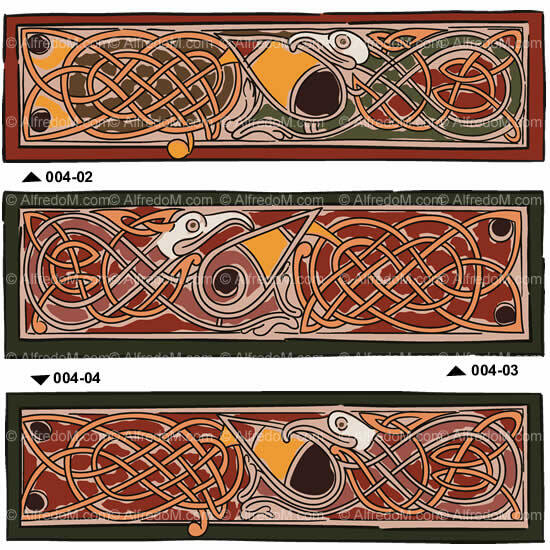 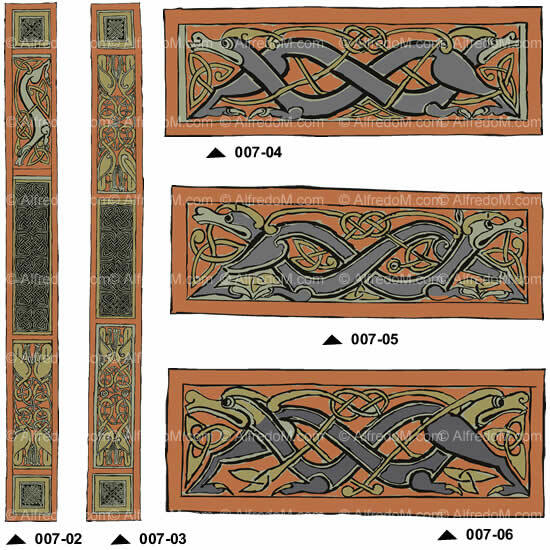 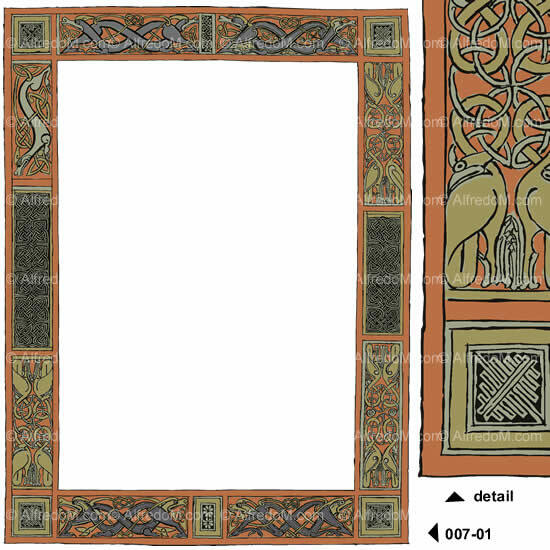 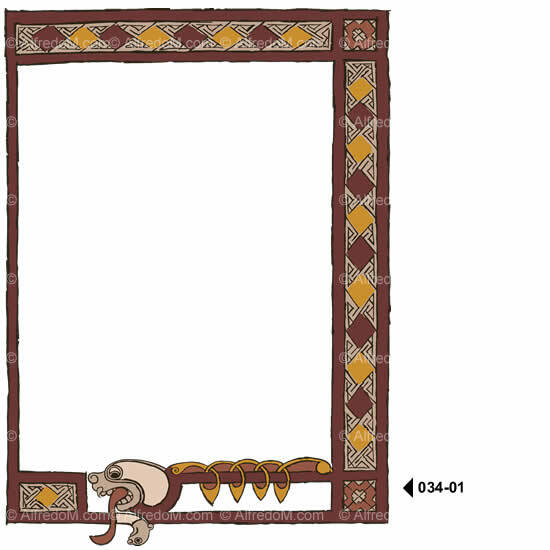 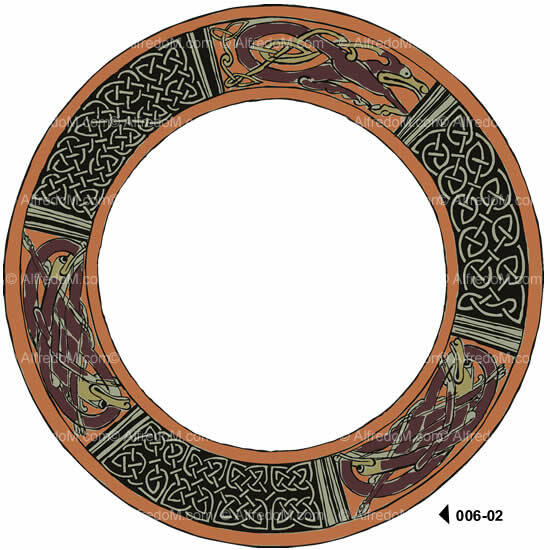 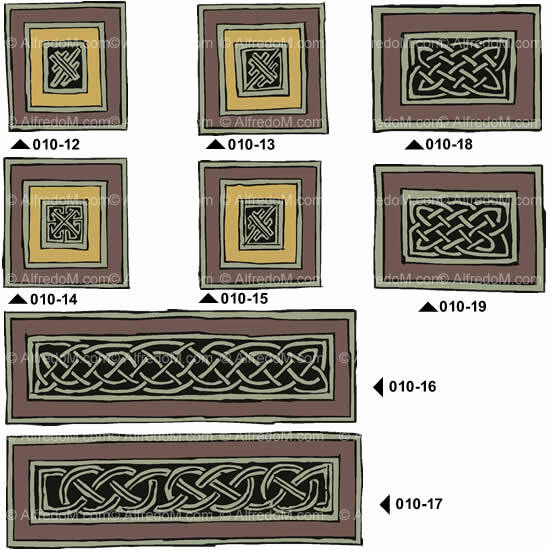 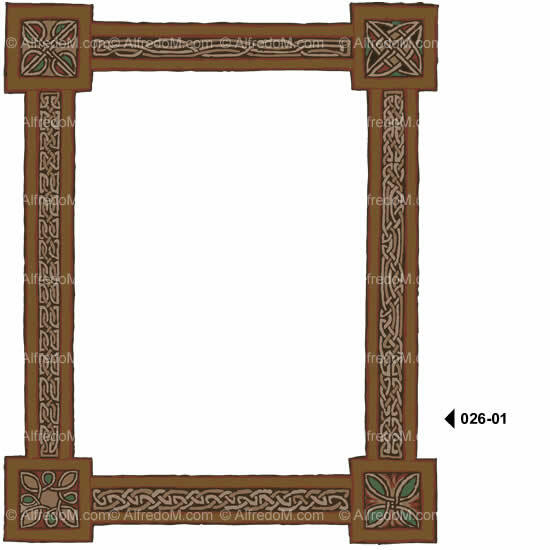 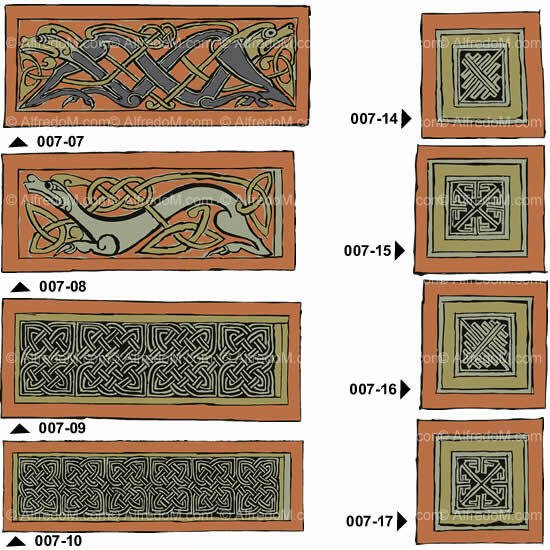 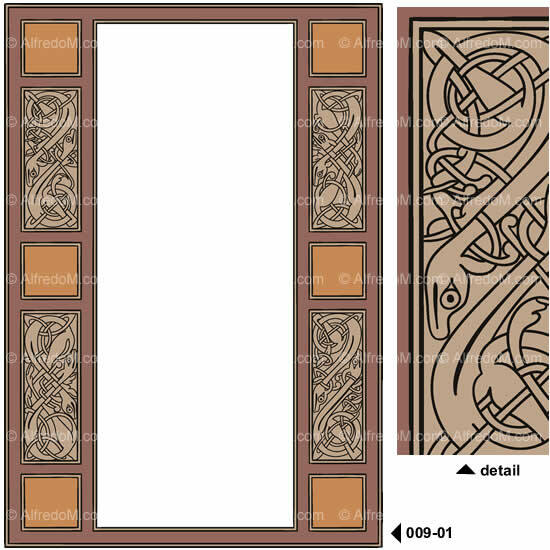 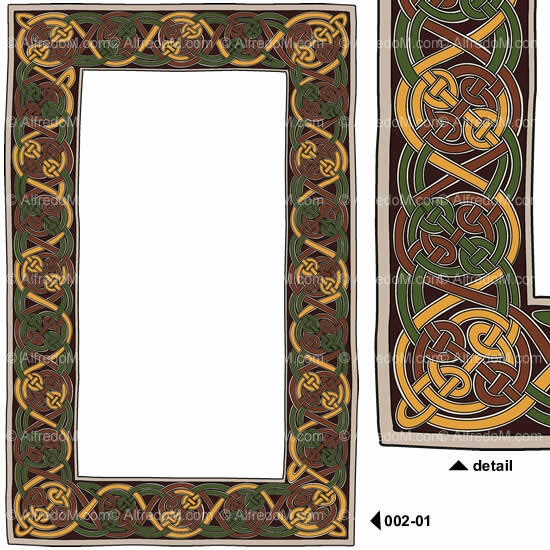 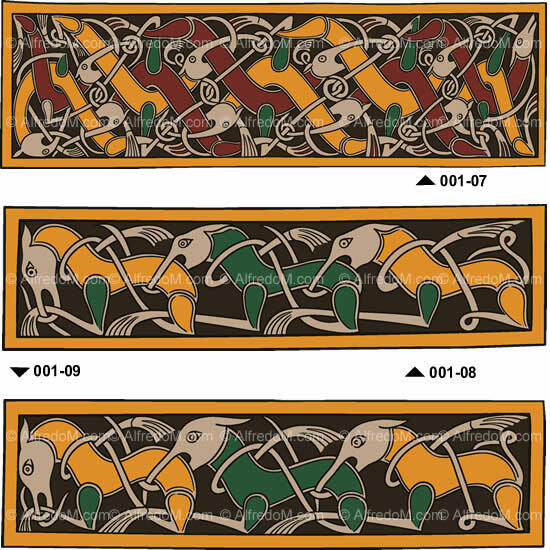 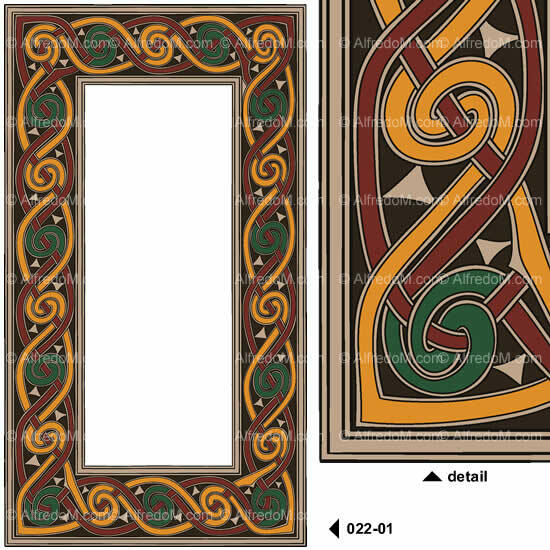 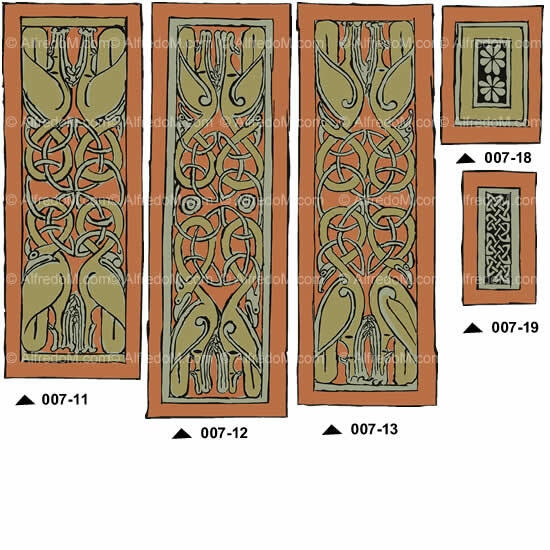 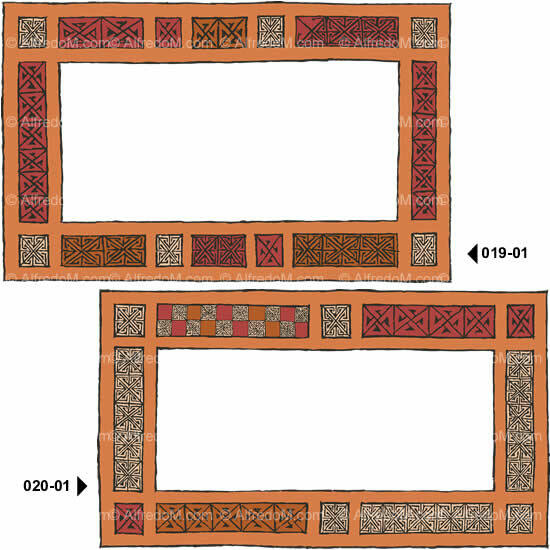 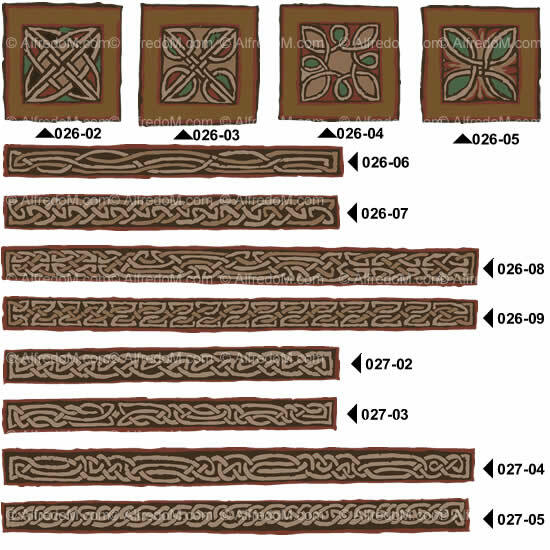 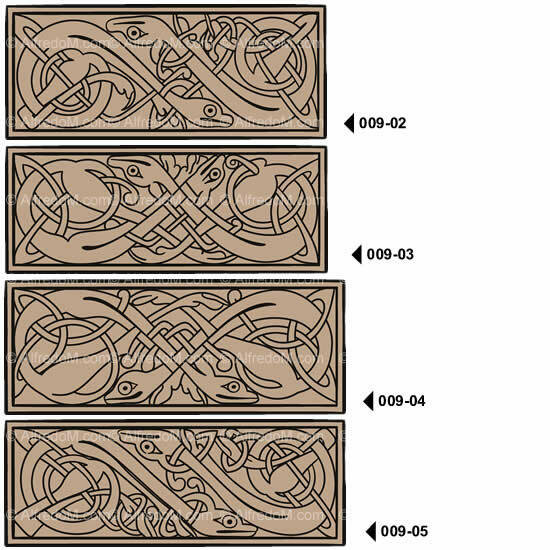 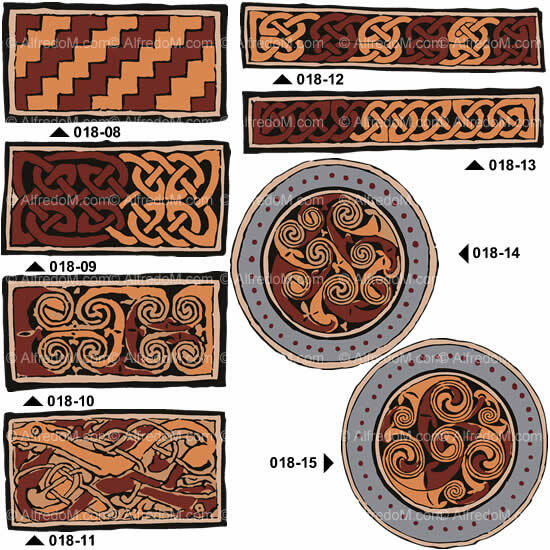 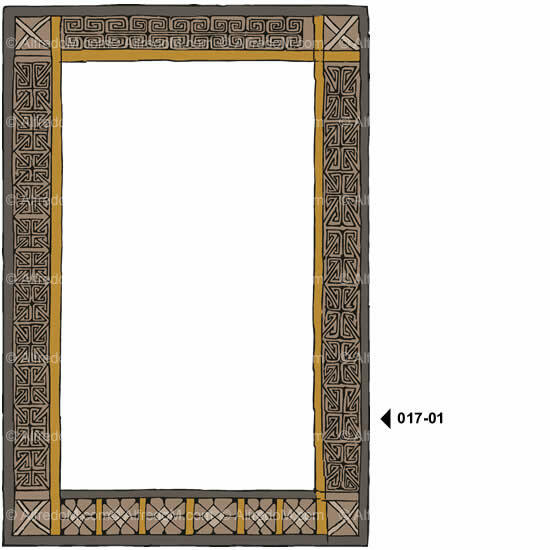 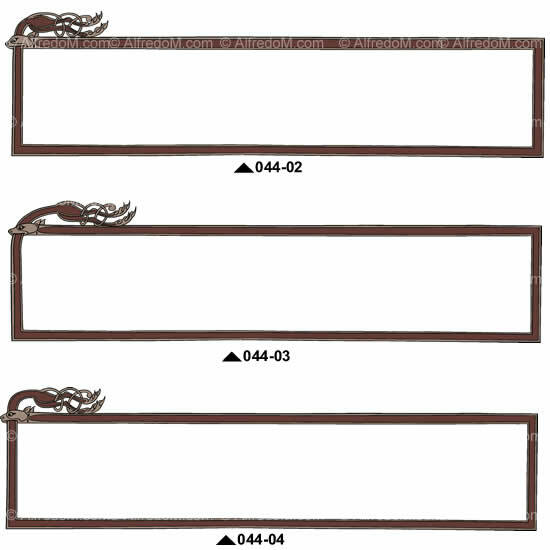 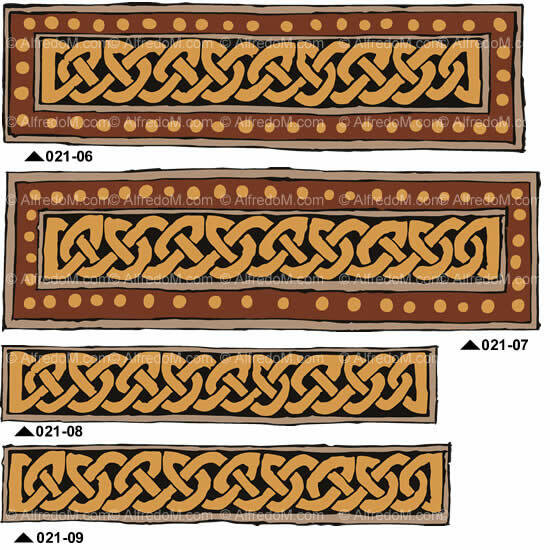 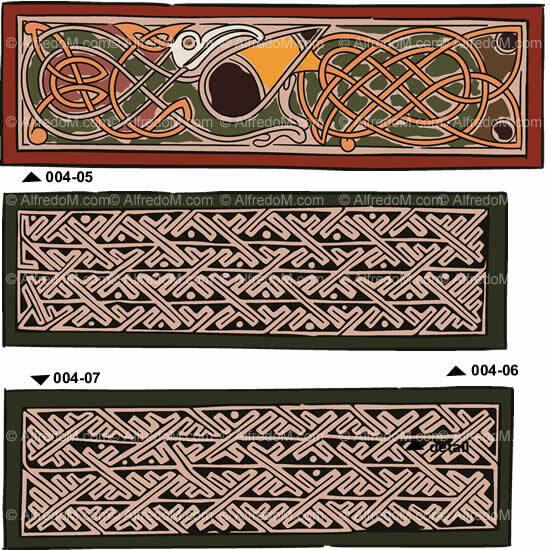 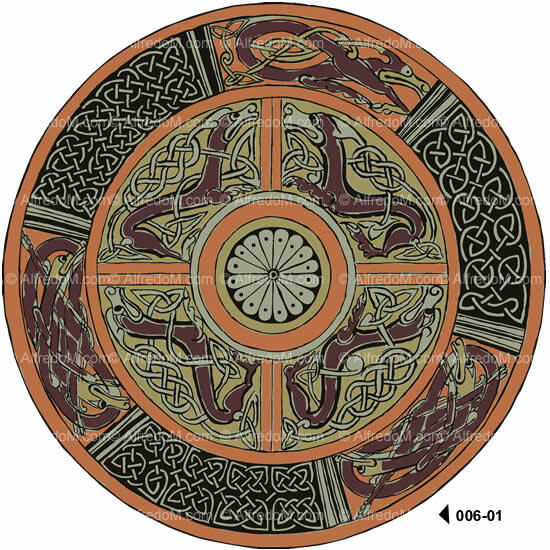 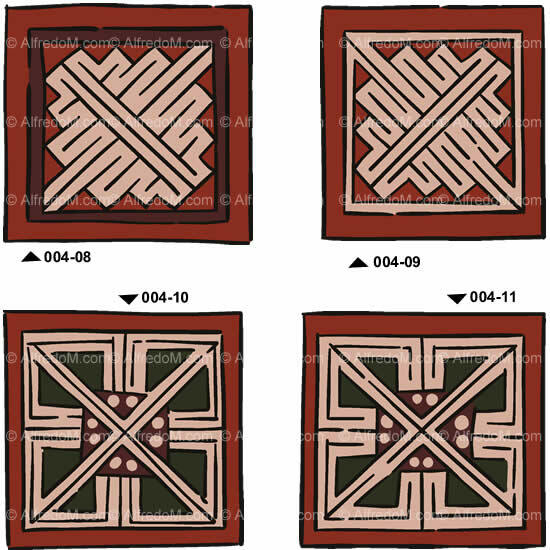 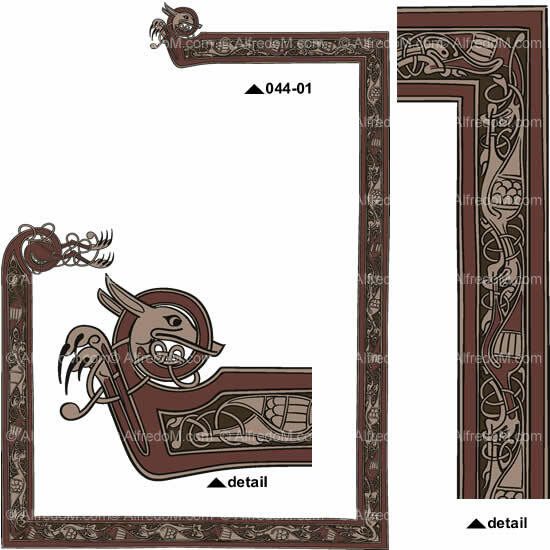 This set of hand drawn royalty free stock images from the Celtic Illuminated Manuscripts Collection is available as instant download in EPS and WMF formats.